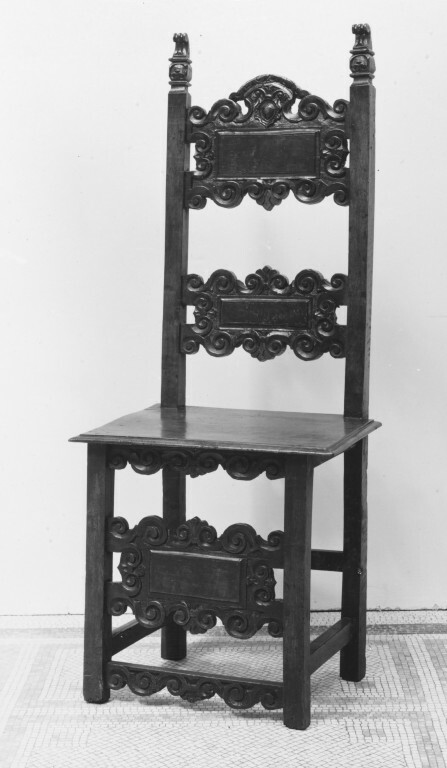 Walnut chair. 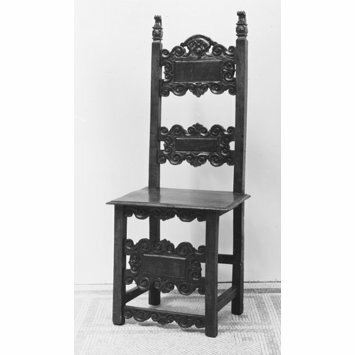 The back and front are furnished with horizontal bars carved with scrolls. The back terminates with carved finials.